On a recent trip to Ikea I purchased a pretty little "Isala" cabinet for fabric storage. 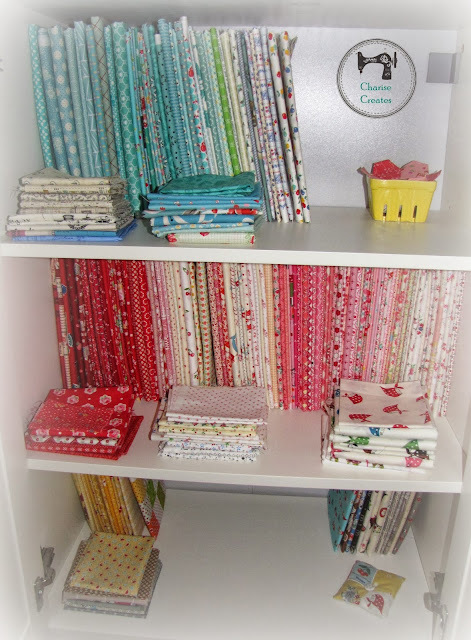 My current method is to store my fabrics in plastic bins by color. This works great but makes it hard to find the exact fabric I am looking for. I wasn't sure how I would store my stash in the new cabinet until I saw a pic of Angela's stash on instagram. 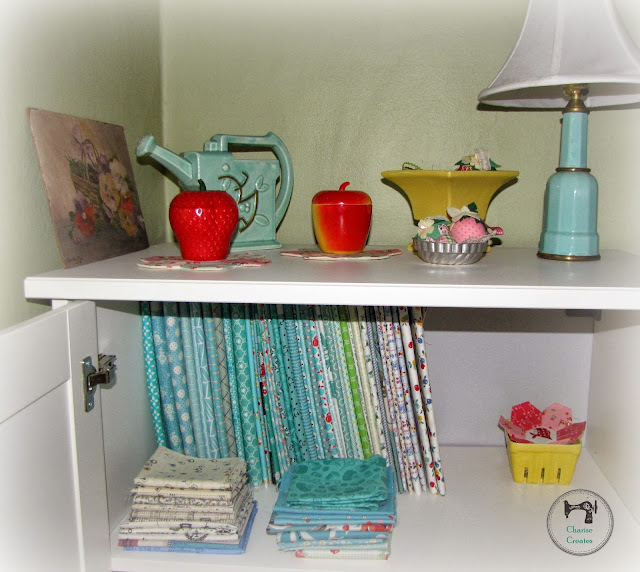 She uses comic book backer boards to make mini bolts and has a tutorial here. I'm planning on making some large berry baskets for storing the stacks of fat quarters. Anna's Fab tutorial for making the baskets can be found here. This is by far my favorite shelf - I love red and pink together! Sewing has been happening at the Randell House! 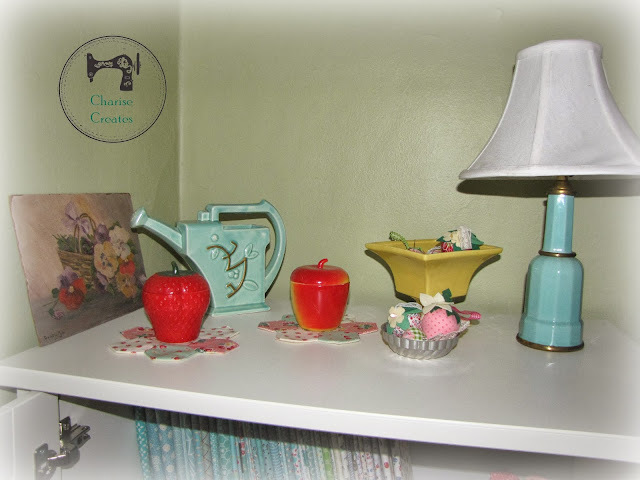 I've been working on "petite cottages" for the handmade ornament swap group on Flickr. I have designed two more houses and will have them available as a PDF pattern soon. 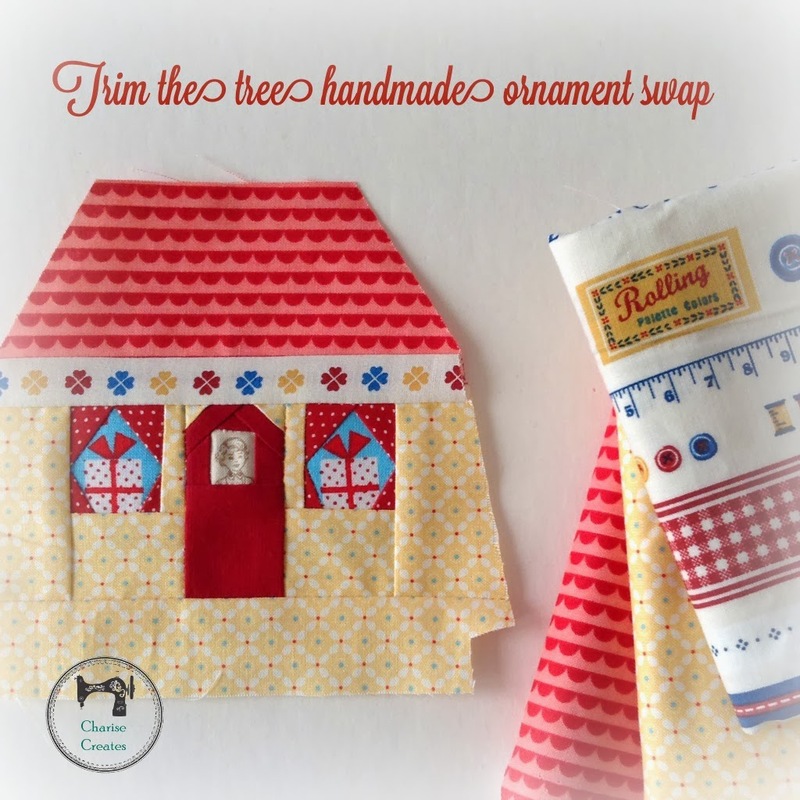 They make fun ornaments and you can also make sachets for gifts any time of year! 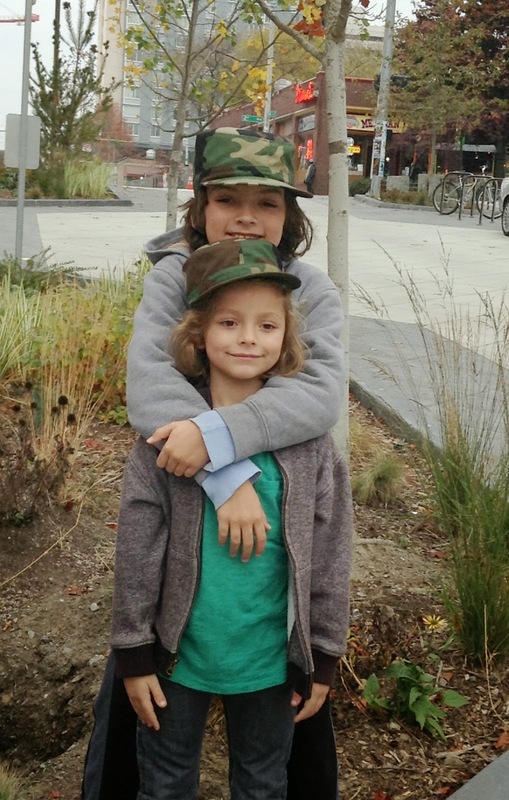 And last, a pic of my boys with their new camouflage caps, part of their costume for Halloween! Your petite cottage is really cute!!! I really like how all your fabrics are stored too! I used to use bins. 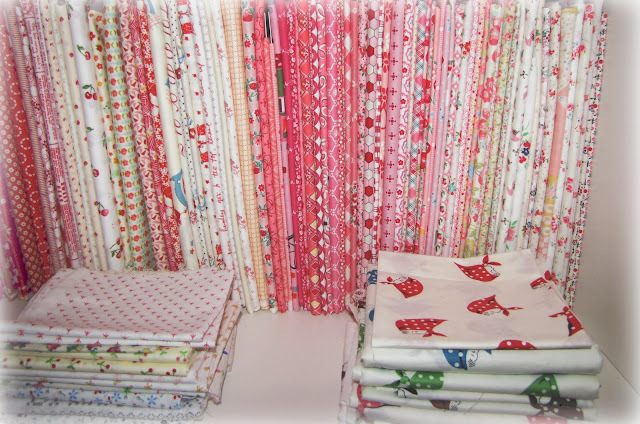 I love having my fabric out. It helps me use it better. That third shelf looks a little bare! You should find it some friends! I keep most of my fabric stash in a clear bin. (Yes I said one.) It's starting to outgrow it's home. I need to quit bringing more fabric home until I can sew the stash down and keep the lid closed.